SAMSUNG ROLLS OUT LOLLIPOP UPDATE TO GALAXY NOTE PRO 12.2 BUT….oops! | iStoryang HaaayTek! SAMSUNG ROLLS OUT LOLLIPOP UPDATE TO GALAXY NOTE PRO 12.2 BUT….oops! I just downloaded via OTA (Over-The-Air) and installed the Lollipop 5.0.2 update rolled out recently by Samsung for its big slate Galaxy Note PRO 12.2. But to my dismay, it has a glitch. A big glitch, in fact that it reduces the productivity of the tablet. After installing the over 1GB update over the weekend, i could no longer use the Logitech PRO bluetooth keyboard. 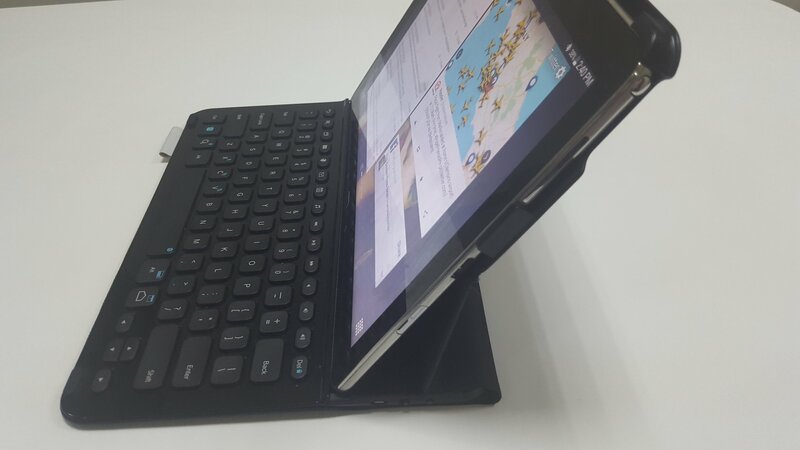 Though it seems bluetooth connection between the keyboard and the tablet is fine, but the keyboard is not responding or it doesn’t work at all. I thought i was alone with that predicament but when i scroll down pages about the update i’d learned many of us installing the update have the same issue. And it’s not only Logitech keyboard and mouse but also other brands of BT accessories are affected. From some readers comments, it has been reported that Samsung and Logitech are aware of the bug and are now trying to make a fix. My frustration and disappointment against Samsung when it released the update via OTA, the Korean firm did not inform the users that it has issues on some BT devices. Had they informed us, then we could had avoided the issue. The update was first rolled out in Switzerland sometime May and immediately thereafter lots of users were complaining of their keyboards not working after the update. In the meantime, i am waiting for the fix. It should come from Samsung since some says the Lollipop update excludes the BT driver. Others have conspiracy theory that Samsung intentionally skip the BT driver to discourage third-party keyboard and other BT accessory. Samsung has its own BT keyboard for its slate of tablets. I hope this is not the case and Samsung will soon issue a fix.